Time is running out to register and be a part of the Palestine Studies springtime celebration! All funds raised in this auction go towards supporting and providing accurate information and scholarship on Palestine and preserving and protecting the integrity of the historical record. 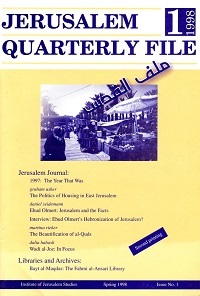 Because of supporters like you, the Institute is able to continue to publish, analyze, document and report on Palestine and the Arab-Israeli conflict. Zionism’s material and cultural conquest is a manifestation of the axiom long voiced by its partisans: the Arabs may have rights on the land but only Jews have rights to the land. Every movement needs its propaganda and Zionism has been the colonial master of marketing. 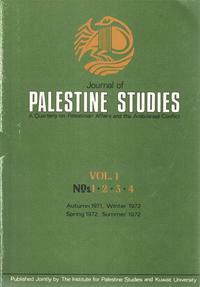 In the Feature Article in the most recent issue of the Journal of Palestine Studies (Vol. 45, No. 1), Joshua Sperber analyzes Israel’s actions and policies within a predominantly neorealist framework. Accordingly, he argues that U.S.
On January 3, 2016, Israeli prosecutors filed a murder indictment against 21-year-old Amiram Ben-Uliel for reportedly firebombing the Dawabsha family home in the West Bank village of Duma, which killed 18-month-old Ali and his parents Saad and Riham; five-year-old brother Ahmed remains hospitalized in Israel. On December 27, 2008, the Israel Defense Forces launched an assault on the besieged Gaza Strip. For the next 22 days, Gaza’s over one million residents bore witness to an unprecedented Israeli war on a Palestinian territory. By the conflict’s end, the Palestinian death toll numbered over 1,400; mainly civilians, including over 300 children. 13 Israelis were reported dead, four from friendly fire.